The garden is pure magic this week. It seems like we've moved to a completely different region as we went from dry conditions to late spring rains and plants that were only poking their heads above ground are lush. I no longer have to worry about the chickens plucking out tender seedlings and can let them out to forage for a little bit during the day. If it weren't for the mosquitoes, I'd sit outside all hours of the day. However with all the fallen magnolia leaves creating tiny breeding pools all over the ground, I am either forced back inside or have to cover myself in bug spray. In our little world of chickening we had a recent loss and bid adieu to our Sweet Betty White. We were lucky to have a few extra months with her after we nearly lost her to illness back in January, which we doubt she ever fully recovered from. The flock is mostly at peace again with the Tweedles pairing off and Bella, Ruby and Penny sticking together. Luna is back to being a loner, but I suspect she's happiest that way. She has no trouble shouldering into the flock for treats or water, so I don't think she's being bullied or rejected by the other hens. She is currently in a broody spell and doesn't leave the next box except to eat and drink, which we never catch her doing, so I lift her out and place her in the run a few times a day. I've become more inspired (obsessed) with bringing our yard to a more natural state. I don't mean only planting natives or letting the weeds take over, but I mean creating layers rich in diversity and slowly transitioning more towards a forest garden and away from lawn. I love shade and the forest floor, and I find open laws to be oppressive in our North Carolina heat. Two things have really inspired me. 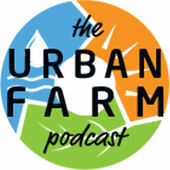 The first is The Urban Farm Podcast. From seed saving lessons to interviews of researchers, writers and community garden leaders, the host Greg Peterson is using this forum to educate a new generation of urban farmers and lead a food revolution. The other thing that recently inspired me was the movie Dare to be Wild. Mary Reynolds discovered and shared her passion for reconnecting humans with wild places, and the movie is based on her true and uplifting story. Mary Reynolds also made an appearance on the aforementioned podcast here. 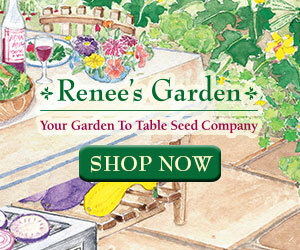 I just ordered her book A Garden Awakening for reading on our upcoming flight out west. I'm not much of a mystic myself, but I look forward to reading her ideas on how to work with nature rather than against it to create beautiful gardens. "The Garden Awakening is a step-by-step manual to creating a garden in harmony with the life force in the earth, addressing not only what the people in charge of the land want but also asking what the land wants to become. 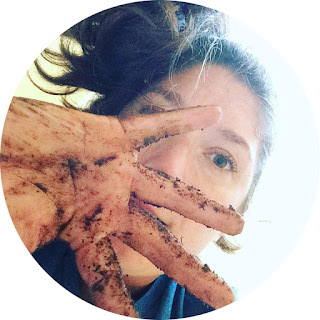 Mary Reynolds demonstrates how to create a groundbreaking garden that is not simply a solitary space but an expanding, living, interconnected ecosystem. Drawing on old Irish ways and methods of working with the land, this beautiful book is both art and inspiration for any garden lover seeking to create a positive, natural space." For now, I'm making good use of the large patches of full sun with vining curcurbits and perennial flowers, but I'm excited to see the younger fruit trees and shrubs spreading branches, and I can't wait for them to create shady respites as they grow. I've also been doing a lot of reflecting on how we manage our properties as humans. For instance, we have a house just barely under 2,000 square feet, but our property of just under 15,000 square feet was most likely stripped down to almost nothing to build a house for us. I feel like it's my duty to help heal this little patch of earth and make it inhabitable for the other creatures, from earth worms to the foxes passing through. I know our patch won't change the world, but maybe it will inspire someone else to care for theirs as well. I've included some affiliate links in this post. Purchases made through my affiliate links give me a small commission to help run this blog, but don't cost you any extra.